It’s Stath versus shark in this loose and lively adaptation of Steve Alten’s Meg: A Novel of Deep Terror, which leans into its schlocky generic trappings for better and for worse. 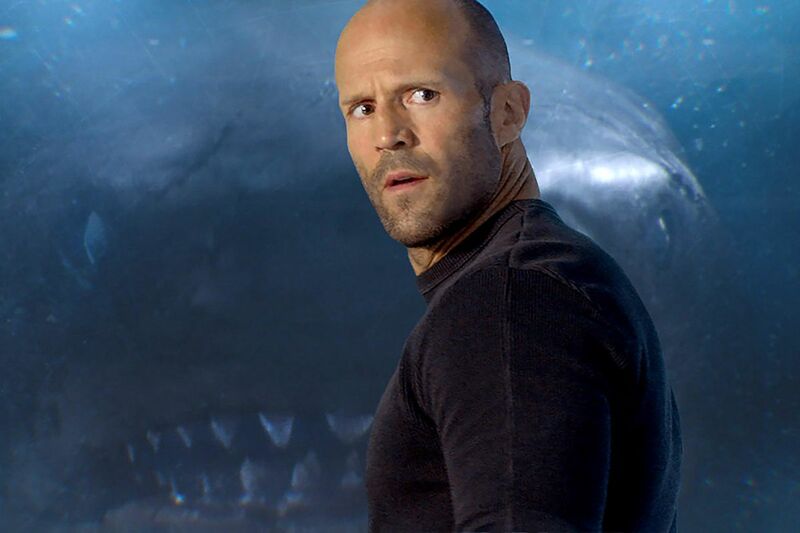 Five years after a botched underwater evacuation, rescue diver Jonas Taylor (Jason Statham) is called out of his self-imposed exile when a deep-sea research facility is attacked by a previously prehistoric monster, the Megalodon. The creature is freed when a scientific expedition to explore an ocean crevice breaks through a layer of gas, holding the deadlier creatures of the deep back from entering the contemporary food chain. So the script is rife with ripeness (“Man versus Meg isn’t a fight: it’s a slaughter!”), but has enough self-awareness to get the audience laughing in sync with its particular brand of jovial Jaws apery. Once the titular behemoth begins to run amuck and tensions start running high between Jonas and his companions, it’s hard to know who’s getting the better meal deal: the cast chewing the scenery, or the shark chewing the cast.
. But what separates this from more amateurish forebears is a budget that allows it to deliver the goods when required. For those of us who’ve dredged through shark B-movies of every kind from the painfully incompetent (Megashark vs. Giant Octopus) to the sickeningly smug (the interminable Sharknado series), it’s a real joy to see this sort of high-concept actioner delivered not only with smarts, but surprisingly sleek CGI to boot. 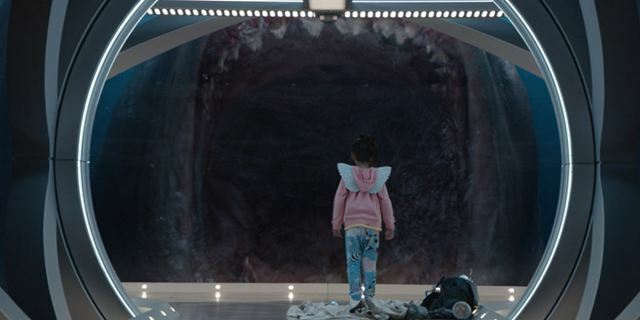 Industrial Light and Magic won’t exactly be quaking in their boots anytime soon, but the various vehicles and beasties are designed and rendered efficiently enough, and the moment The Meg finally jumps the shark – quite literally – is a perfectly choreographed crowd-pleaser. The Meg is on DVD & Blu-Ray now! Previous PostChristopher Robin – ReviewNext PostTriple Frontier – Brand New Trailer!